In this tutorial we will review the core settings of the SMF application and how to configure them. 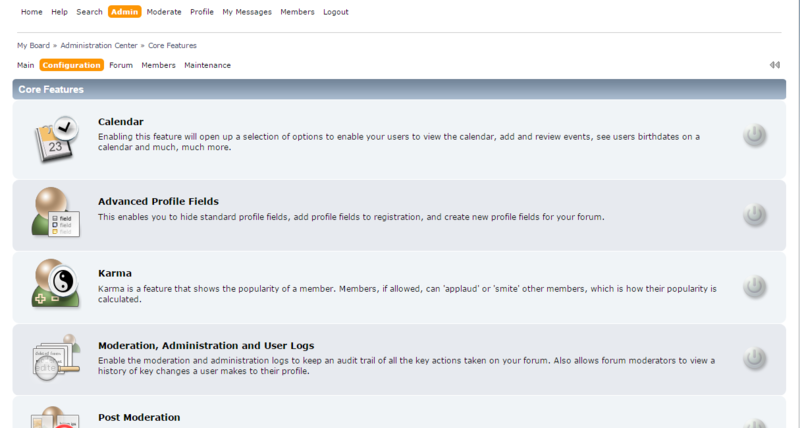 In order to access the core features page first you should log in as administrator of your forum. Then simply navigate to Administration Center. 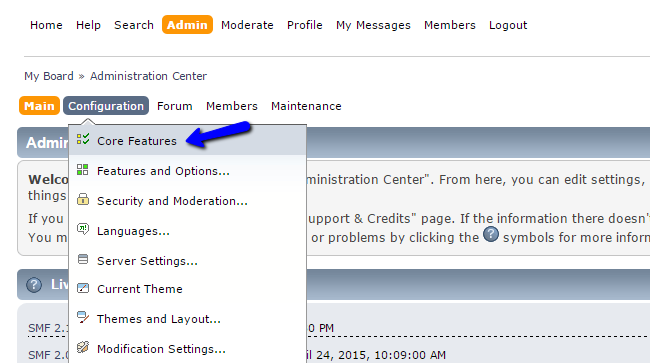 Navigate to the Configuration tab on the main menu and then Core Features. Congratulations! You are now familiar with all of the SMF 2.0.x core features.